As posted in the Facebook of page of COMK the disturbance over the bay is showing good signs of organization at upper levels though at lower levels the elongated trough is a cause of concern. 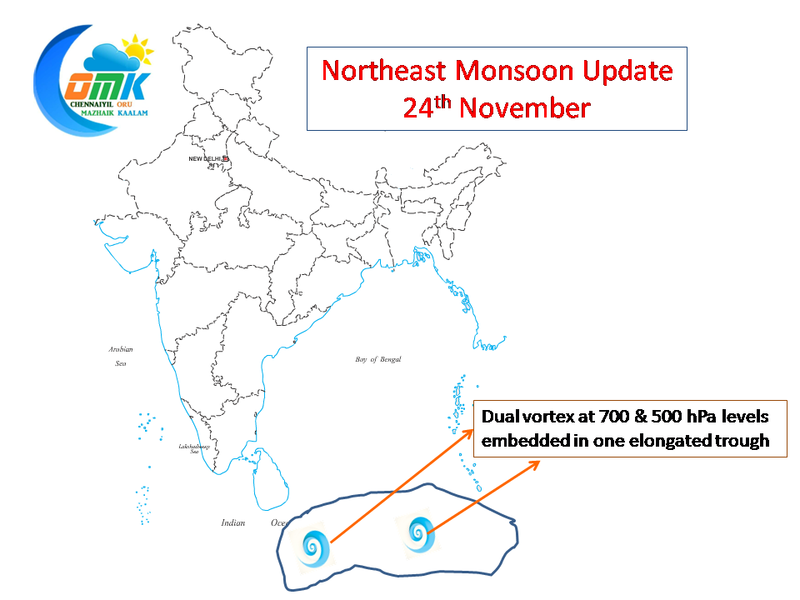 The disturbance is showing dual vortex which is going to play a key role in the further road map for this disturbance. 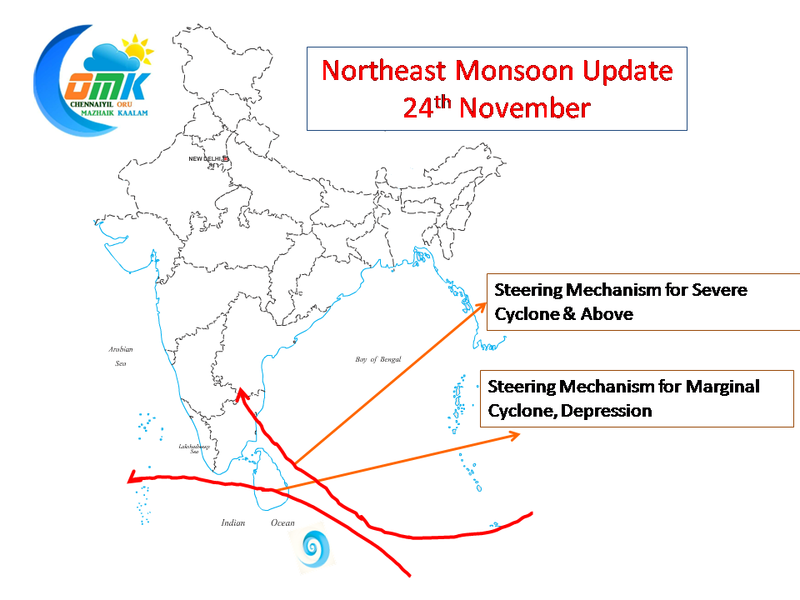 IMD is expecting the Low Pressure Area to form by tomorrow. It could form anywhere in the elongated trough. 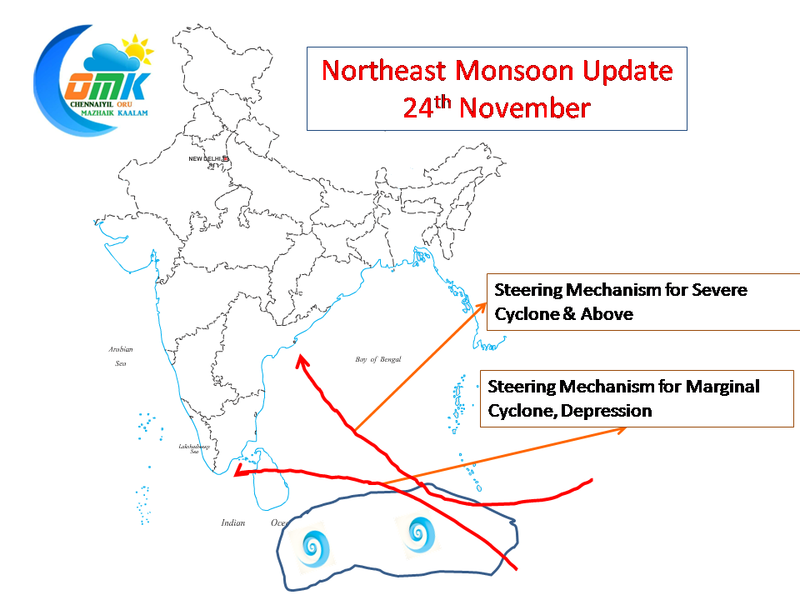 As one goes through prospective steering mechanism it becomes clear that the genesis location becomes very important on the final destination of this disturbance. While the odds for a severe cyclone looks pretty low, we felt it would be worthwhile marking the steering mechanism in case the disturbance picks up intensity. As one observes from the above image the steering could be WNW to NW depending on the intensity picked up by the system. 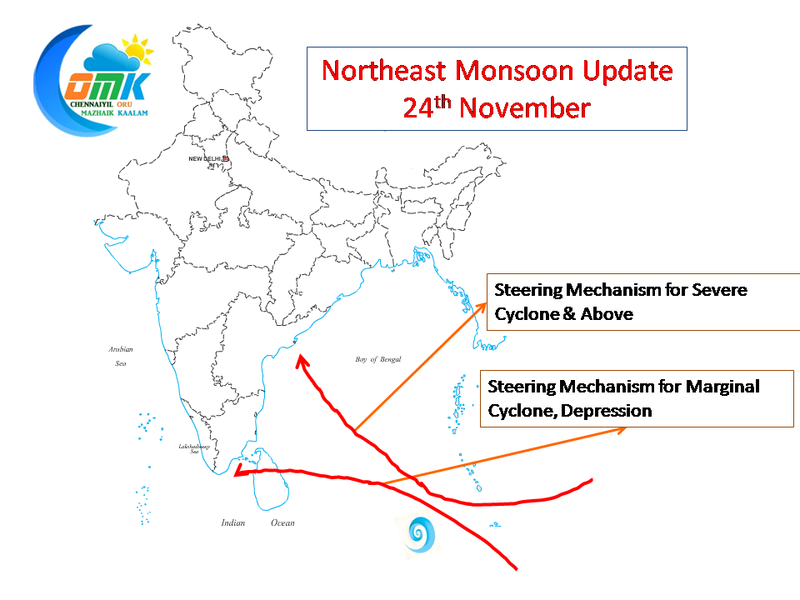 So depending on the genesis location the disturbance could move into Arabian Sea or end up Central Andhra Pradesh. It is exactly for this reason we always believe forecasts should be held back until the genesis location becomes clear.